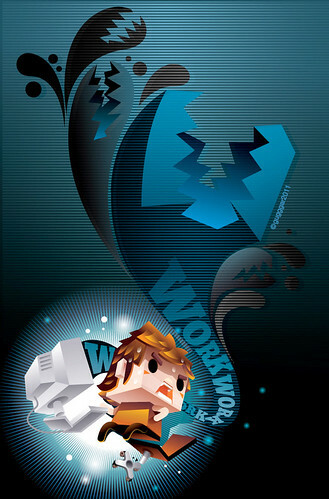 Vector Illustration – Work Addict Monster! Work Addict Monster!, a photo by GuGGGar on Flickr. It looks like vector artist GuGGGar needs to take a moment or two away from the computer. But not too long bro – we love your style. Absolutely loved this piece. It’s cute, funny, and done in such a nice style.